I came here a good few months ago for a girly catch up, with three other lovely ladies. 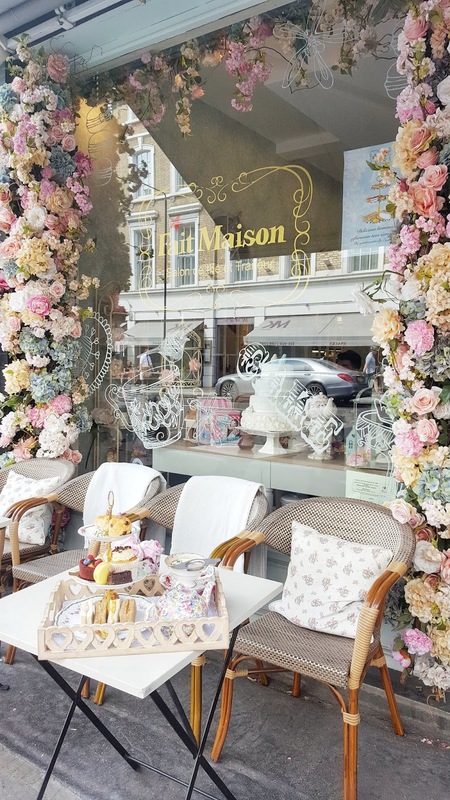 The weather was beautiful and it was the perfect opportunity to sit outside and eat, especially with the faux flowers decorated around the windows. However, the road the cafe is one is extremely busy and we later decided against it. And choose to sit indoors. Which by that time the larger tables were taken, so we were seated on two small circle tables that were joined closer together. I must say the waiters were extremely accommodating to our needs, especially since we changed our table, they made sure that we were comfortable, and that is important. I have been to a restaurant or two were the waiters do not make an effort to make you feel comfortable. There are two Fait Maison restaurants on this road, what we realized when ordering is that the one we choose only served a brunch menu. We were accidentally given the main menu for the other cafe however we couldn't order it. Which was a tad bit upsetting, but not too much. There was one thing on that menu that we wanted to try but looks like we will just have to try it another time, it was the black burger. This menu was had mostly Middle Eastern cuisine which we enjoy. 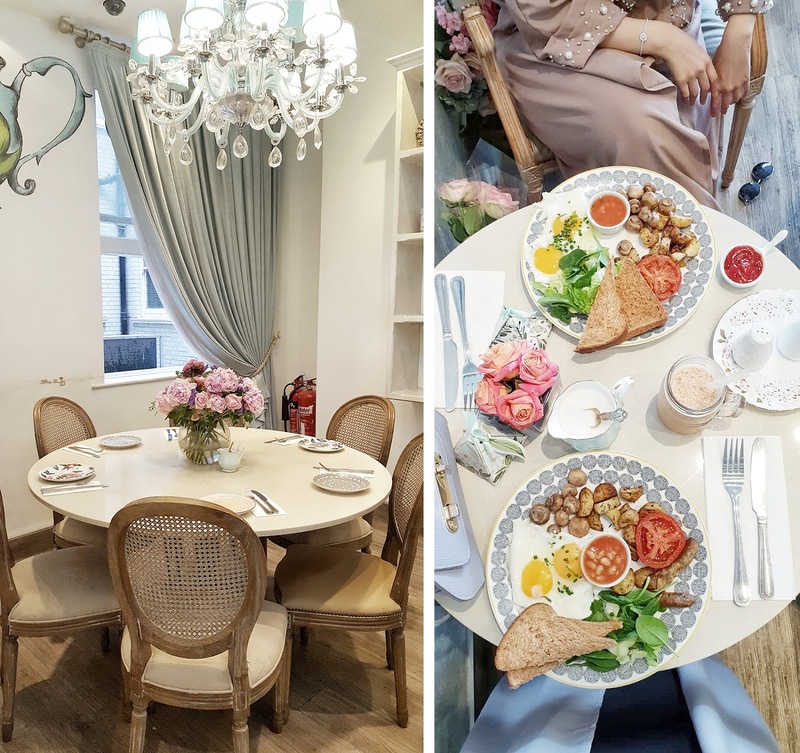 Most of us ended up ordering the halal English breakfast, which consisted of halal sausage, fried eggs, mushrooms, salad, potatoes, baked beans, and toast. The English breakfast was okay, it tasted as it was supposed to. However, the dessert was excellent! I ordered a rose latte, which is something I usually always get at any shop that sells it. And this one did not disappoint. What topped the experience for me has to the huge raspberry macaroon, which tasted divine, the perfect sweetness to end our day. 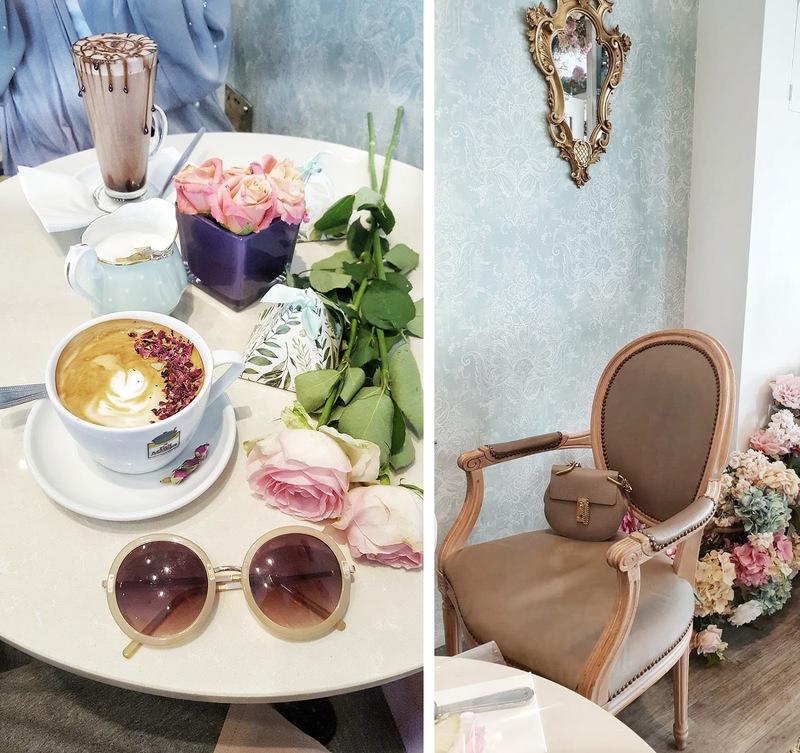 My overall thoughts of the cafe are that it is a gorgeous location for girly meetups, the attention to detail is amazing. The food is okay. The waiters are helpful. I will also like to include that the toilet is spotless, I am one of those people that find toilets in cafes and restaurants important, the toilet carries on with the Parisian theme of the cafe. Would I return? Yes. I would love to try their afternoon tea.